It indicate a problem with the plugin ScreenCustomization (I'm on last version 5.3). Could you tell me if the error mentionned are important or not ? and how to solve it ? The 3 errors logged are not major. It seems you already migrated once, but reverted and you restored DB without droping all tables (so new tables in V7.4 were already there). Issue on Project may have been fixed automatically. 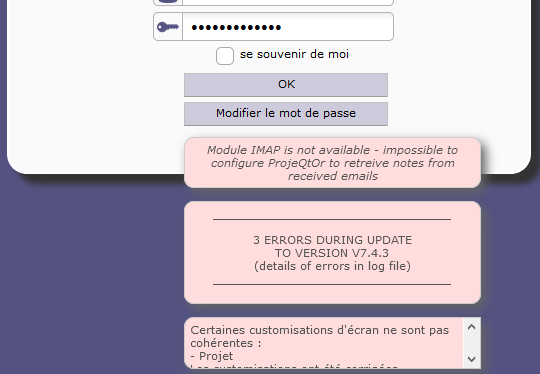 The worst that can happen is strange display on Project screen (fields at an unexpected place).